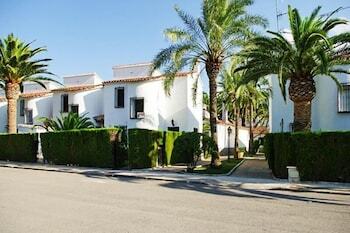 Located in Denia, this apartment is convenient to Les Bovetes Beach and Els Molins Beach. Free self parking is available onsite. Located in Mogan, Palmeramar is near the bay, a 4-minute drive from Amadores Beach and 5 minutes from Angry Birds Activity Park. Featured amenities include multilingual staff and an elevator (lift). With a stay at this villa in Cala Blava, you'll be near the beach, just a 2-minute walk from Cala Mosques and 5 minutes by foot from Caló de ses Lleonardes. Free self parking is available onsite. With a stay at Casa Berbesa in Castropol, you'll be within a 15-minute drive of Kartodromo de Tapia and Playa de Los Campos. Free self parking is available onsite.